These are the dedicated locations for disposal of asbestos.Homeowners and asbestos contractors must dispose of waste asbestos materials properly. This is considered as solid waste.Solid waste regulations talks about packaging of asbestos for disposal and disposal criteria for landfills. 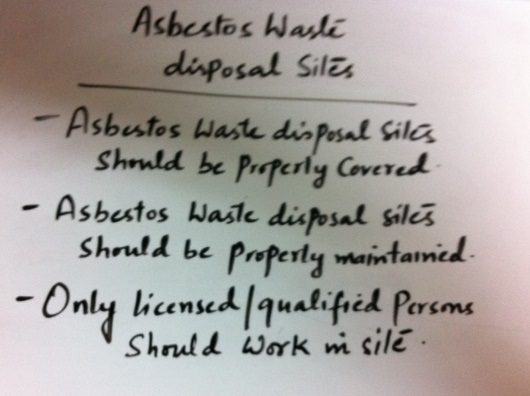 It is required for landfill opertaors to handle asbestos waste in specific manner in asbestos waste disposal sites. Asbestos should be handled by a certified asbestos abatement contractor. Slightly damaged or loose asbestos can be re-wrapped rather than removed. Avoid dusting, sweeping or vacuuming particles suspected of containing asbestos. Asbestos containing materials should never be disposed of in a combustion facility or compacted because fibers may be released to the surrounding area. 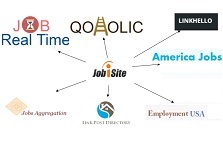 Only licensed/qualified persons should work in site.